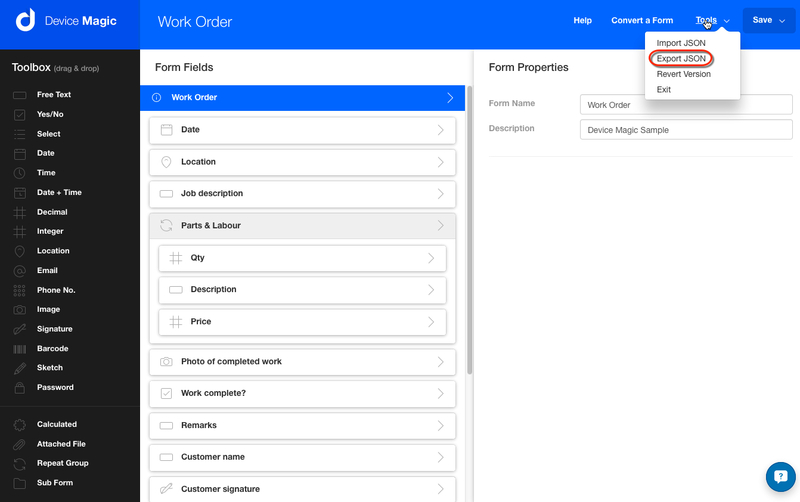 In this article we will give an overview of how to import and export your forms. To import or export any desired form, you will need to go into edit mode to do so. There are various reasons for wanting to import or export i.e. you were building in a sandbox environment and need to move it to an active organization, for backup purposes and possibly to edit some functionality not available in the designer. 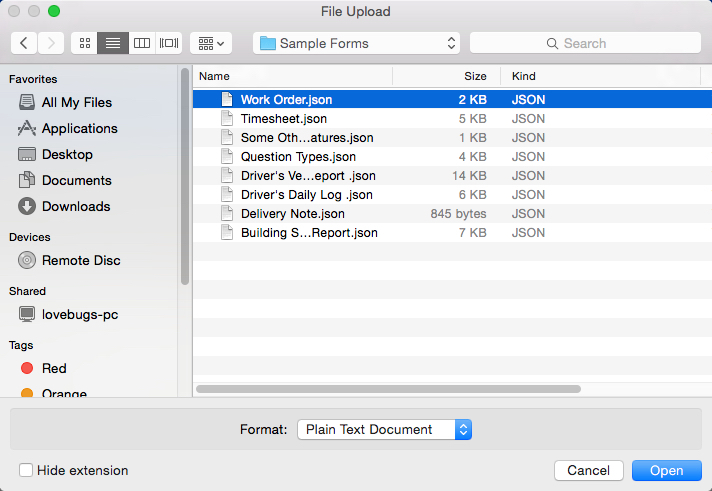 To export your form, click on "Tools" then click on "Export JSON"
Simply click on "New Form"
To import a form, click on "Tools" then click on "Import JSON"
After importing the form, all the questions, as in the original form would appear. Note: All questions with resources will be affected unless the resource file is moved across as well. Now you can save and exit the form and create the destinations as required. This concludes our overview Importing and Exporting forms. If you have any questions or comments feel free to send us a message at support@devicemagic.com.